One of the most striking things I took from Brad Lancaster’s book and workshop, was a quote from Mr. Phiri, the Zimbabwean land regenerator he sites in his intro. My Phiri said, “You got to plant the water before you plants the trees.” This makes so much sense especially when you look at the principles such as energy cycling and accelerating succession. The management of cycles is paramount in permaculture and if we don’t complete and leverage cycles then other cycles fail. For example here, if we complete the carbon cycle in some degraded areas by mulching around already planted trees yet fail to complete the hydrological cycle, then its impossible to keep that soil built on site. When I say completing the hydrological cycle I mean making sure that water infiltrates as much as possible instead of erosive runoff. This is the normal pattern of current land management but we can only hope that by doing this vital work of cycling water into the ground and upward through building soil and growing a diversity of plants, the land will turn to an oasis. With this proof the local rural crowd of southern Andalusia, Spain might be inspired to learn more. Thus since arriving 8 days ago we have been full on with project management, project implementation, and designing next phases of implementation. A design is one thing but the myriad of complexities of enacting that design into a project management plan is another. 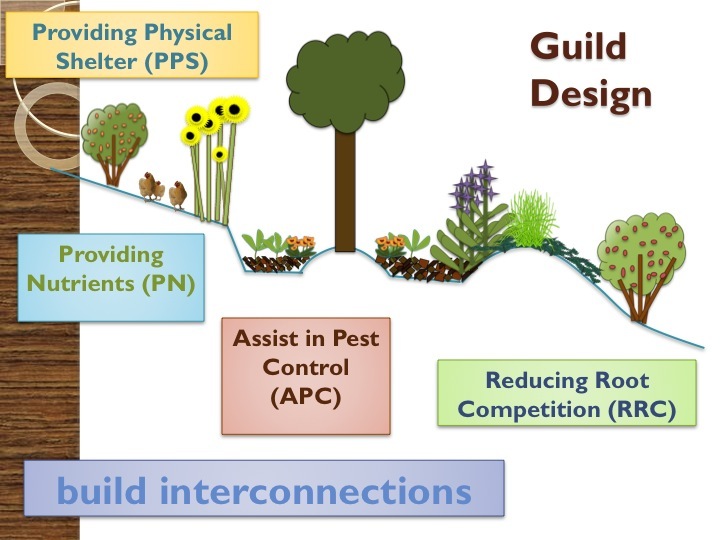 I do recommend highly for all permaculture designers to take a project management course. I took one when I finished my small business management degree 5 years ago and it has helped tremendously. This currently entails a big group of volunteers mainly focused on olive harvest is balanced with the inflow of other labour, materials, budget, and the weather. But with the team of the Wizard, Jacob Evans, managing in the field and Jon Valdivia helping to manage as well in the inflow of materials, we are ticking along. Since I arrived the grease trap was installed to create the greywater system in the garden as water is the ultimate focus of this project. It will require diggin’ a few more pit gardens and getting the pipping finished. A tremendous amount of water is now being diverted into the landscape instead of a septic tank. We did install a valve in case we want to put that back in the septic if the system ever gets overloaded. However by having five circles, multiple elements for the important function of receiving greywater, we should be just fine. And the top pit garden next to the stairs provides one more function, which is the capture of a rainwater torrent that cascades down the stairs from the large catchment area of impervious surfaces above the garden. Also in the garden the greens have been rolling out, cover crop is growing nicely, and more seeds being sown. We are also planning the next phase of garden development that will come up in our earthworks and food forest course. We will perennialize much of the rest of the garden that hasn’t already gone under the sunken and raised bed system on contour. 3 pit garden greywater systems and where a food forest will be developed. In the course ahead we will also be reviewing the keyline system we have now implemented in what has been known as the wheat field. It will gain a new name soon as we convert this patch from a leased monoculture to a diverse, alley cropping system. The alleys will be for pasture mainly but after some years of soil building we will also use parts of the alley for field crops. The rows of trees with be five wide with a food forest style approach to their diversity and layout. Its a fun pallet to play with and now that the field has been ripped it’s even more evident how beautiful the field will look in the future with these rows of trees and animals in between. I was quite surprised to see the quality of the soil in the valley part of the landscape so we will make a move for planting pioneer trees this year. We were contemplating to start next year but in this section we will do this initial push to accelerate succession beyond just the keyline operation. Furthermore, we used a subsoiler of one of the workers of the retreat centers father. A lovely elder he is and was happy to enact our “drawings” on the field. He always seemed to have a smile on his face when I approached even as the rains started as he finished on a cold sunday morning. After a dry spell that featured quite warm temperatures the last couple of weeks, a solid but not too intense delivered autumn finally. With 22 degrees C (74 F) just a few days ago, the growth of green had been stunted for sure. The garden actually needed a bit of water and the regrowth of vegetation was slow to say the least. Autumn here in the Mediterranean zone feels like spring to me coming from a humid temperate climate. The earth is awaking with the rains and with water being my main design consideration, it was nice to see and experience this nourishing rain. So when the rain came I of course didn’t sit inside with a cup of tea rather went out in the rains and very intense winds to see the patterns of runoff. With the amount of dry lately, the earth was quick to soak this resource up. Of course however impervious surfaces shed huge amounts of water and start the erosion cycle. The driveway is fed by roofs above and create a cascade of erosive water down the driveway. This is a major design issue to address in the coming days to put it into french drains and getting it circulating in the keyline system. One day we hope to hold that in tanks for storage for crop irrigation. Moreover, there was other spots of erosion from impervious surfaces that we will continue to design for infiltration. So from now until the course starts in less than three weeks will be dedicated a lot to designing these systems in. We will take Brad Lancaster advice, start at the top and work our way down. Make them small to start with. Observe and continue to implement as we receive the feedback loops. Plant, mulch, repair the soil biology. Phew a lot of action is coming! And so excited to do it, share it, and enact the vision that was created from the first time I came here in March. And I finish by asking you, how is your hydrological cycle? Ours is still being fixed, much work to be done to reverse climate change.